Although we were told the island’s waterfalls are much more impressive during the rainy season, we decided to pay each of them a visit regardless. 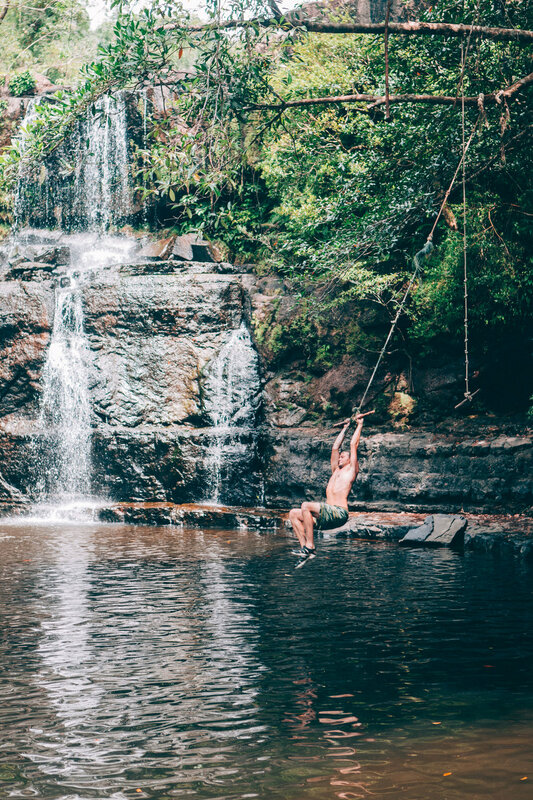 One of our favorites was Klong Chao Waterfall which boasts a rope swing and a cool, swimmable pool year-round. 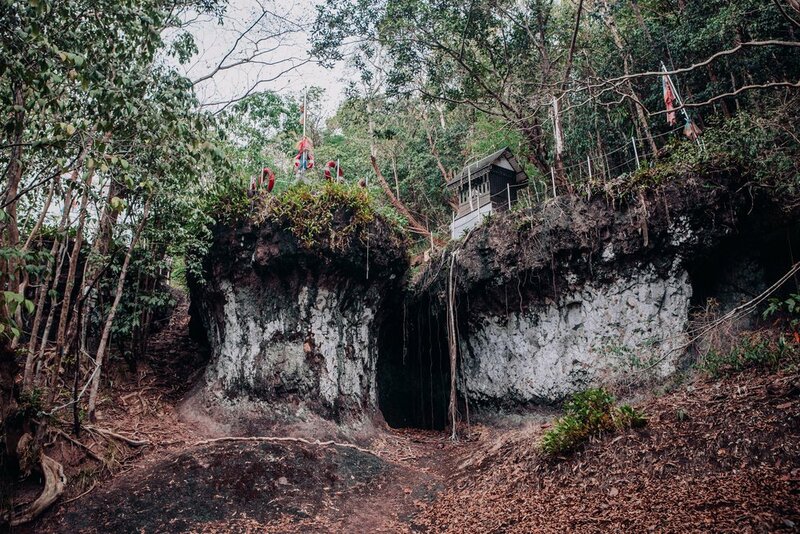 We decided to hike to another Koh Kood oddity after our waterfall swim: A rock formation that resembles quite uncannily two ships seeming to barrel straight out of a cliff face and into the jungle below. Rigging mimicking a mast, safety rails and even life preservers had been added at some point in time. Altars to Buddha and the Prince of Chomporn, Prince Abhakara Kiartivongse (1880-1923, considered to be the father of the Thai Navy) can be found on the “deck” of the ships.